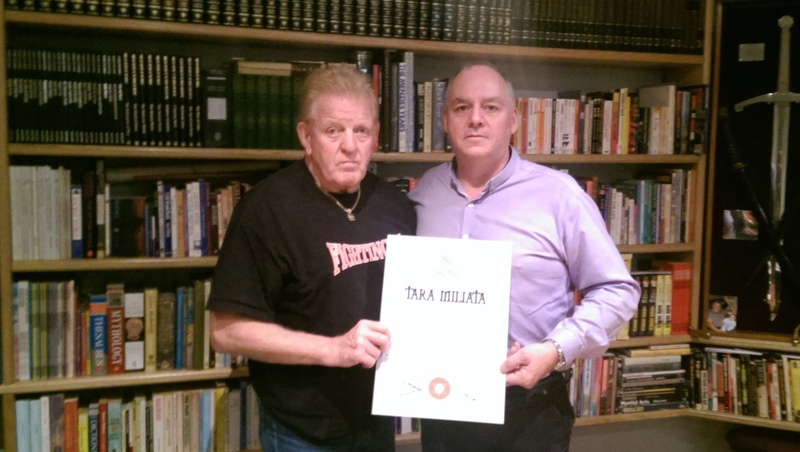 At the request of the ‘Chief’ of Zen Do-Kai, Bob Jones, Sensei Mal McRae was invited to the Zen Do-Kai Head Quarters on the 3rd of March 2016, where he was awarded the Tara Miliata grade of 9th Degree. This was witnessed by Michael Kenna, Joe DeFrancesco, Matthew Ball and Peter Shannon. Malcolm, a student of Professor David Brown is equally inspirational to the development of ‘Lesson One’. 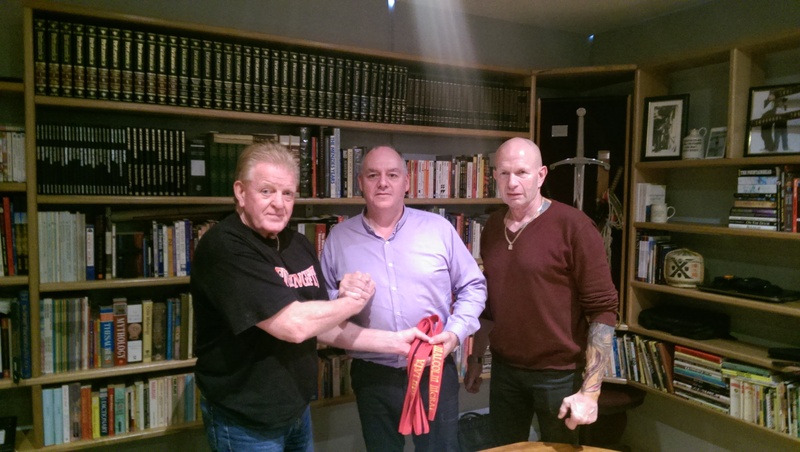 Hanshi Billy trains regularly with Malcolm at his training centre, Ki-Fusion. To explain the uniqueness of Malcolm is not something that is easily put into words – it needs to be experienced. To train with Malcolm, contact Hanshi Billy for details. 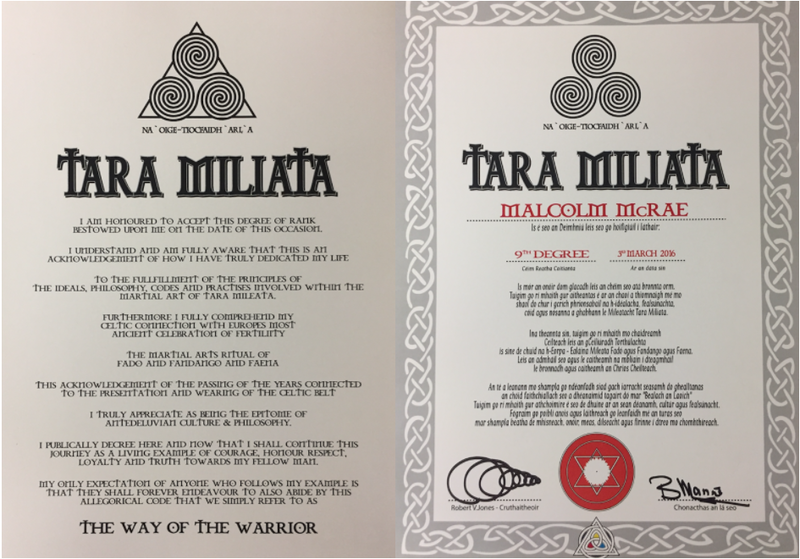 The Tara Miliata certificate created by Bob Jones honours very dedicated artists that he believes have achieved milestones in their own art. Sensei Mal McRae introduced many of the Zen Do-Kai senior ranks to art of Aikido in the mid ’90s. Much of this forms Zen Do-Kai’s new Enter Pass Control (EPC) syllabus. Sensei Mal again wants to thank the Chief and Bill Manne for recognising his dedication in the martial art of aikido.